We understand no two borrowers are the same. That's why our rates are personalised to your credit history. The better your credit history, the lower your interest rate. *Comparison based on a SocietyOne Tier 1 unsecured personal loan of $10,000 over 3 years. WARNING: The comparison rates are true only for the examples provided and may not include all fees and charges. Different loan grades, terms, fees or loan amounts might result in a different comparison rate. *Comparison based on a SocietyOne Tier 2 unsecured personal loan of $10,000 over 3 years. WARNING: The comparison rates are true only for the examples provided and may not include all fees and charges. Different loan grades, terms, fees or loan amounts might result in a different comparison rate. *Comparison based on a SocietyOne Tier 3 unsecured personal loan of $10,000 over 3 years. WARNING: The comparison rates are true only for the examples provided and may not include all fees and charges. Different loan grades, terms, fees or loan amounts might result in a different comparison rate. 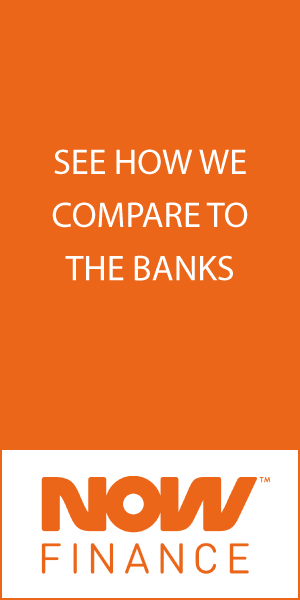 *Comparison based on a SocietyOne Tier 1 unsecured personal loan of $30,000 over 5 years. WARNING: The comparison rates are true only for the examples provided and may not include all fees and charges. Different loan grades, terms, fees or loan amounts might result in a different comparison rate. *Comparison based on a SocietyOne Tier 4 unsecured personal loan of $10,000 over 3 years. WARNING: The comparison rates are true only for the examples provided and may not include all fees and charges. Different loan grades, terms, fees or loan amounts might result in a different comparison rate. *Comparison based on a SocietyOne Tier 2 unsecured personal loan of $30,000 over 5 years. WARNING: The comparison rates are true only for the examples provided and may not include all fees and charges. Different loan grades, terms, fees or loan amounts might result in a different comparison rate. *Comparison based on a SocietyOne Tier 3 unsecured personal loan of $30,000 over 5 years. WARNING: The comparison rates are true only for the examples provided and may not include all fees and charges. Different loan grades, terms, fees or loan amounts might result in a different comparison rate. *Comparison based on a SocietyOne Tier 4 unsecured personal loan of $30,000 over 5 years. WARNING: The comparison rates are true only for the examples provided and may not include all fees and charges. Different loan grades, terms, fees or loan amounts might result in a different comparison rate. Did you know you can compare 100s of personal loans? Review, calculate interest rate repayments, apply online and save by visiting our main personal loans comparison page. Looking to finance a new or used personal, van, truck or motorcycle? When comparing SocietyOne personal loans, there are other key facts to consider and understand, other than just SocietyOne’s interest rates. What personal loan options are available? You can also review and compare SocietyOne personal loans. Do you have a SocietyOne personal loans calculator? For a more accurate quote, contact SocietyOne directly. How to apply for a SocietyOne personal loan? If you’d like to apply online for a SocietyOne personal loan, just scroll up and click on “Learn more” to be taken to SocietyOne’s secure online application form. Before you apply, be sure to learn about SocietyOne’s loan products, fees and eligibility criteria. Give yourself around 30 minutes to complete the personal loan application. There are many additional factors SocietyOne consider when accessing your application, but the above are the most important. If you feel like you may not meet their eligibility criteria, it may be best to save! What can you use a SocietyOne personal loan for? How much can you borrow? Between $5,000 and $50,000, over terms between 2 years and 5 years. Use our filter as a repayment calculator to see your monthly repayments and rates. SocietyOne allow weekly, fortnightly or monthly repayment. SocietyOne allows you to make additional or early repayments. There are no fees associated with completely repaying your loan off early. View their terms and conditions to learn more about early termination. SocietyOne’s Low Interest Personal Loan does not require an asset (typically, the vehicle) as security.